The UN criticism adds to widespread condemnation of Abbas, 82, including from the European Union and the United States, over the remarks. UNITED NATIONS, UNITED STATES: The United Nations' special coordinator for the Middle East on Wednesday accused Palestinian president Mahmud Abbas of repeating "contemptuous anti-Semitic slurs" by suggesting the role of Jews in the banking sector led to the Holocaust. "Such statements are unacceptable, deeply disturbing and do not serve the interests of the Palestinian people or peace in the Middle East," said a UN statement issued on Nickolay Mladenov's behalf. It said that leaders "have an obligation to confront anti-Semitism everywhere and always, not perpetuate the conspiracy theories that fuel it." 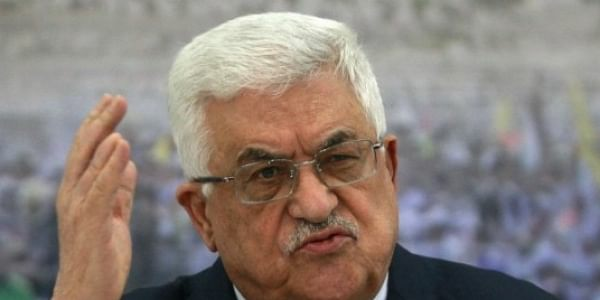 The Palestinian leader, who has faced previous accusations of anti-Semitism, made his latest comments on Monday night in an address to a rare meeting of the Palestinian National Council, the parliament of the Palestine Liberation Organization. "From the 11th century until the Holocaust that took place in Germany, those Jews -- who moved to Western and Eastern Europe -- were subjected to a massacre every 10 to 15 years. But why did this happen? They say 'it is because we are Jews'," Abbas told hundreds of delegates in Ramallah. He then cited "three books" written by Jews as evidence that "hostility against Jews is not because of their religion, but rather their social function," adding he meant "their social function related to banks and interest". He contrasted this with Jews in Arab countries, who he argued had not faced similar persecution. The comments prompted Israeli Prime Minister Benjamin Netanyahu to call Abbas a "Holocaust denier."